We've recently joined forces with Springfield's Bryan Properties to promote the best apartments available to Missouri State University students. It's such a good place to live, even our two newest marketing interns are tenants– and we would like to think they would pick a decent place to lay their heads at night. 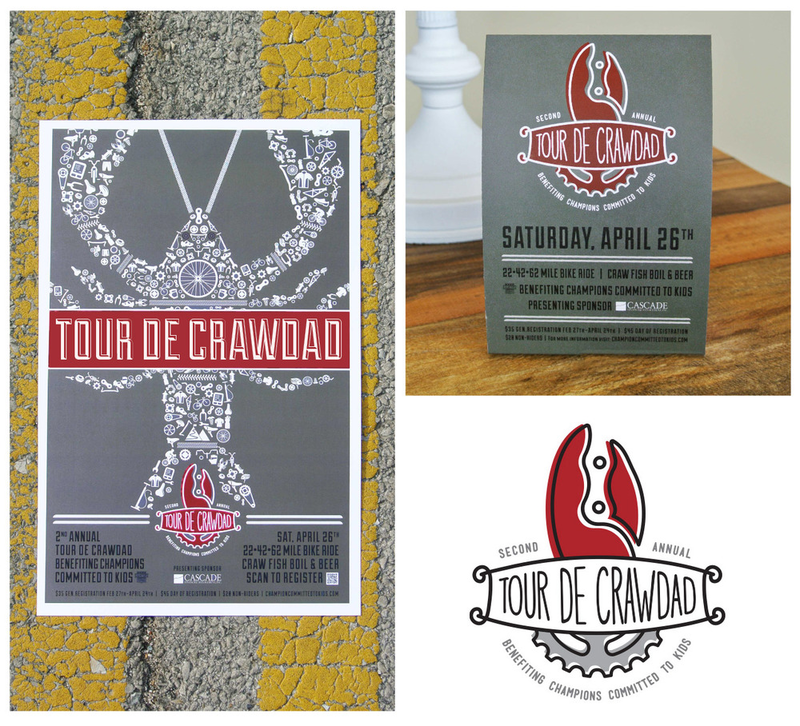 Revel was able to help Champions Committed to Kids this year with their 2nd Annual Tour De Crawdad Festival. Our team donated our time to create a fun identity and some illustrative collateral pieces to promote the event around the Springfield area.